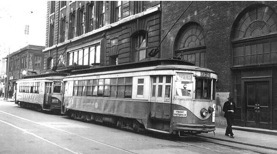 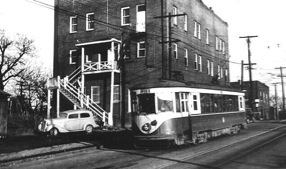 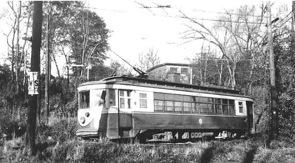 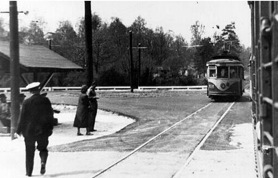 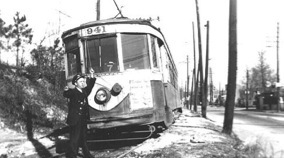 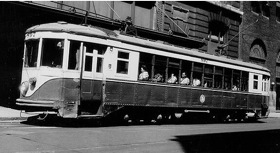 Car 974 is loading on Walton St.
During the last month of operation, April 1949, inbound car 960 passes the newly paved Almond Park short turn loop for the trolley coaches. 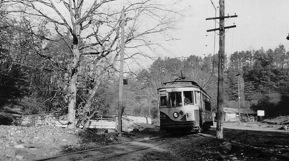 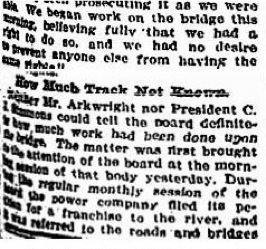 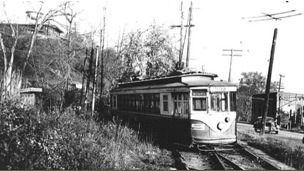 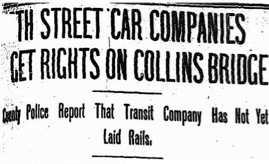 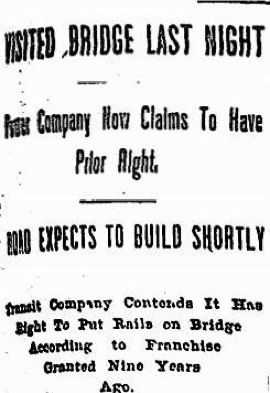 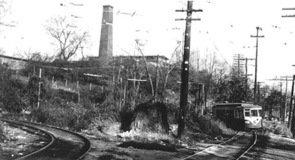 Almond Park siding was a turn back point for rush hour cars on the River Line. 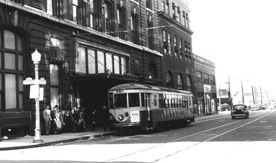 Elmer Braswell stuck his camera through the safety bars on the window to get this photo.